Bro. 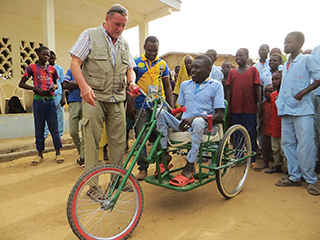 Fabio tests out a man’s brand new wheelchair that he helped him secure in Cameroon. 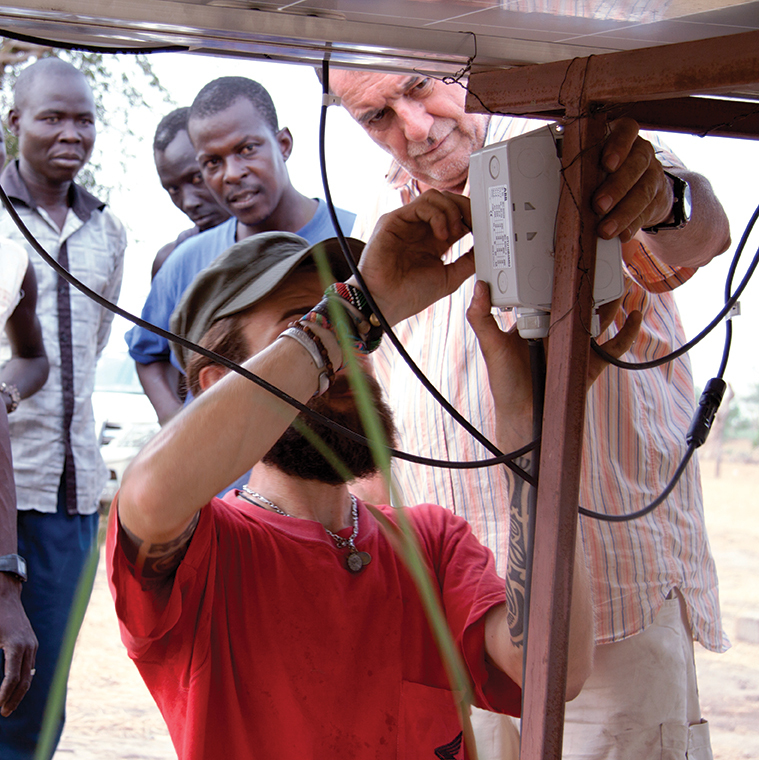 This year, the PIME Institute wants to reflect on the vocation of the Missionary Brothers. A choice that is possible and very relevant in the Church and Missions of today. “What is a religious missionary brother?” Precisely in this year, when PIME seeks to reflect and revive this type of missionary vocation and commitment, perhaps some people might be reasonably asking this question. I think they are legitimate and reasonable questions, because we rarely talk about this vocation, and about those who live it out. Indeed, for decades the “missionary” par excellence was a priest who was going to the Missions to preach the Gospel to those who had yet to hear about it. Bro. 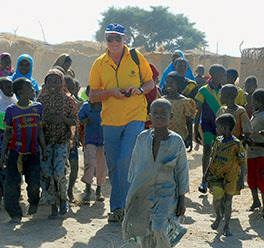 Fabio Mussi, PIME, utilizes his professional administration skills to coordinate Caritas charitable activities in the isolated Far North region of Cameroon. Back then; a religious missionary brother would have usually been the one who helped in “practical” works (like building churches, running social, and charitable works). Often his work was well appreciated, as in the case of Brother Felice Tantardini, who lived for 93 years, 70 of which were in Burma (now Myanmar), building churches, missions, orphanages, lepers colonies, and doing his job as blacksmith with great skill. He was a person certainly exceptional for his life of service, but is this type of life experience still repeatable nowadays? The answer is YES, bearing in mind two important elements: on the one hand, the path of reflection made by the Church with the Second Vatican Council, and on the other, the rapid changes that humanity has made since. Over the last 50 years the Church has deepened new aspects of commitment to its religious brothers: the vocation and the role of brothers has received renewed value. The most obvious change is that the lay Catholic is no longer considered a mere recipient of evangelization, but becomes an active evangelizer. In various Church documents it is pointed out that the mission of the lay Catholic is to integrate himself into the earthly reality, to transform it and to direct it towards God. It is actually stated that there are situations in which the Gospel cannot reach people except through the laity. Then the question “what is a religious missionary brother” can be answered that he is one who tries to fulfill this mandate as his priority, in a setting in which the Gospel is not yet fully known; he preaches the Gospel in a setting different from the one in which he was born and raised. Bro. Fabio uses his knowledge when applicable, however he also facilitates professional volunteers from abroad when necessary. Practically speaking, these are the same values that Brother Felice lived out, a century ago in Burma. However, nowadays there must be awareness that such service to the Gospel has its own value; a value that is inherent to the Baptism that each believer has received. 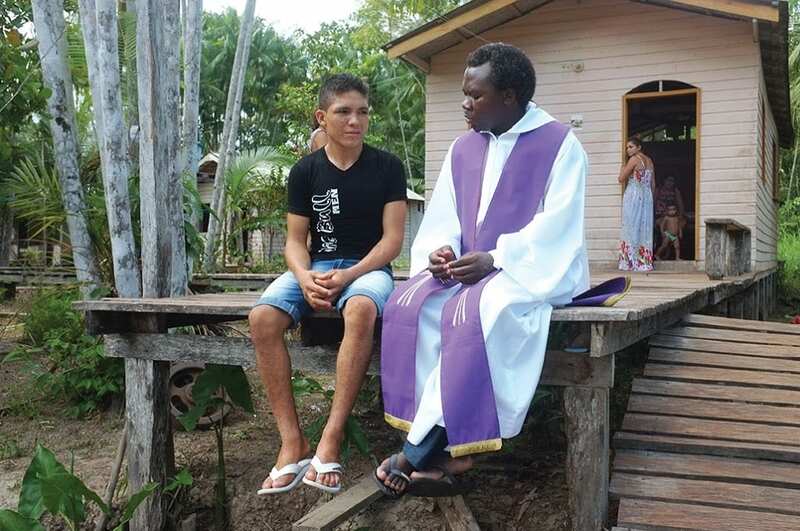 Generally speaking a missionary priest announces the Gospel mainly through God’s Word and the Sacraments, while the missionary brother does so with his work and the witness of his life. This theoretical distinction is often overcome in the different real-life situations in which one is called to live. In any case, collaboration of a missionary brother with missionary priests is not to be read as subordination, but rather as integration. This is of great value because it expresses the true sense of being a family of missionaries and of genuine collaboration between the two. Unfortunately, in recent years, the number of missionary brothers has declined rapidly. 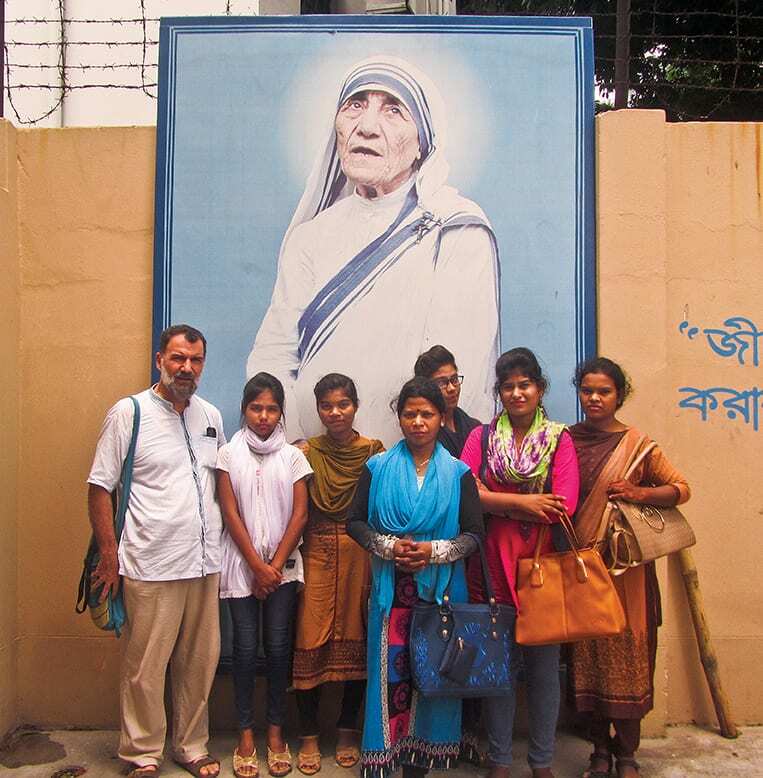 My wish is that the various celebrations in memory of Brother Felice and the initiatives to deepen the identity of a religious missionary brother may make it possible for young people and adults to develop an interest and a willingness to follow this path of missionary service.